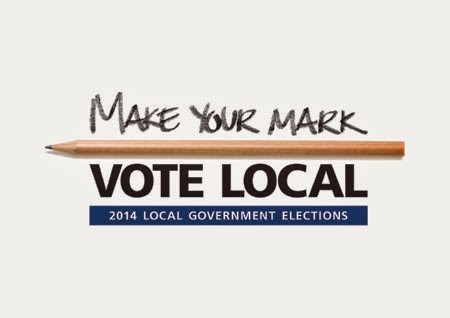 THE State Government is urging all eligible Tasmanian voters to participate in this month's local Government elections with the polls opening today. "With the move to all-in, all-out elections every four years, Tasmanians are spoilt for choice with a record number of candidates standing this year," Local Government and Planning Minister Peter Gutwein said. "It's also pleasing to see the large number of candidates standing for Mayor and Deputy Mayor due to the Liberal Government's recent changes to the Local Government Act 1993, removing a 12 month probation period for Mayoral and Deputy Mayoral candidates," he said. "We now have young candidates, business people, musicians and farmers and who have put themselves forward for mayor of their council who couldn't have done so if we didn't act earlier this year. This is a great outcome for them and a great outcome for democracy to have more choice. I urge all eligible voters to post in their votes so we can increase the participation rate across the state," he said. to voters between today and Friday. Local government elections in Tasmania are a full postal ballot. This means there is a "polling period", rather than one polling day. 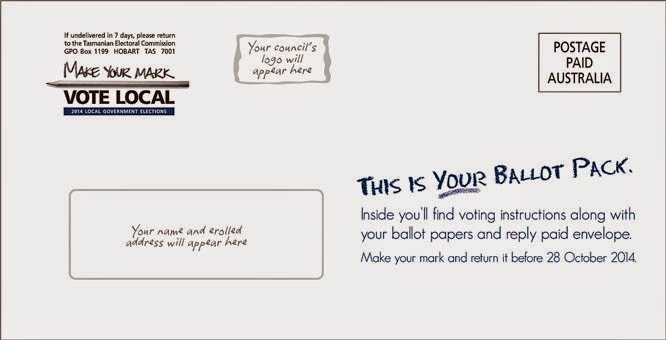 Every elector receives their own postal ballot pack at their enrolled address and has about two weeks to complete and post their back their vote back. In 2014 this polling period is from today until 10am on Tuesday, October 28. Successful candidates for mayor and deputy mayor must also be elected as councillors to be able to accept the office of mayor or deputy mayor.